Do you need a plumber to help with a blocked drain? 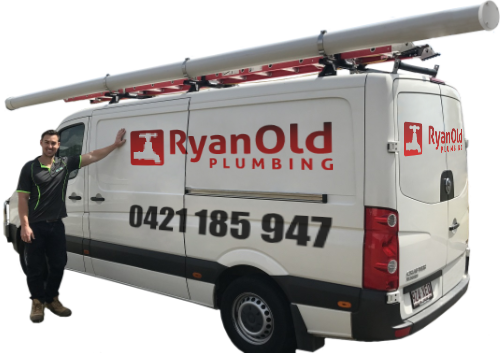 At Ryan Old Plumbing, we fix and unblock drains every single day and are your blocked drains experts in the Brisbane area. If you are unlucky enough to have a blocked drain, blocked toilet, drain gate, shower waste, sewer pipe or even blocked sink or basin, our experienced and excellent plumbers can work out the solution and have your drain running freely again as soon as possible. Sure, you may get advice to go to the local supermarket and buy drain clearing products, but beware! Most of these products can cause corrosion to your drain system leading to additional problems later on, so we suggest getting an expert in to avoid issues in the future. Indications which can signal a blocked drain or sewer including slow drainage and a bubbling sound coming from the floor waste when water is in use, which is usually accompanied by a foul-smelling drain gate. How does Ryan Old Plumbing help with your blocked drain? So, you’ve come home and are furious to find a drain blockage in your kitchen sink. What do the specialists Ryan Old Plumbing actually do to fix it? We use our drain camera and locator to diagnose the cause of the blocked drain. You will be pleased to know this can usually be done without excavating or digging, which saves us time and you money. Once the blockage has been identified, we use our jet rodding machine for unblocking and clearing drains. This device uses a high-pressure water jet to cut through the grease, debris or other blockages, including tree roots, without causing further damage to your pipes. In the event that the blockage is minor, our experienced blocked drain specialists have the right plumbing tools and equipment to unblock those too! Everyone should have your drains inspected by a licensed plumber on a frequent basis, as well as to follow up on any indication of blockage. Like most things in life, early awareness can save a lot of work and money later on. Even if you think that you may only have a partial blockage, it is always best to call in a plumber as quickly as possible. Does Ryan Old Plumbing offer emergency drain blockage services? Yes they do! Ryan Old Plumbing are available 24/7 for all emergency blocked drains. At Ryan Old Plumbing, we have years of experience in identifying, locating and clearing blocked drains with a 24-hour emergency service, and can be onsite promptly to fix any blocked drain issue. Blocked drains can be a nightmare, so the best option is to call an experienced plumber who can attend the situation as soon as possible and fix the issue. Our licensed plumbers at Ryan Old Plumbing can assist you with all your blocked drain emergencies so please call us on 0421 185 947 or complete the above Blocked Drains Enquiry Form.